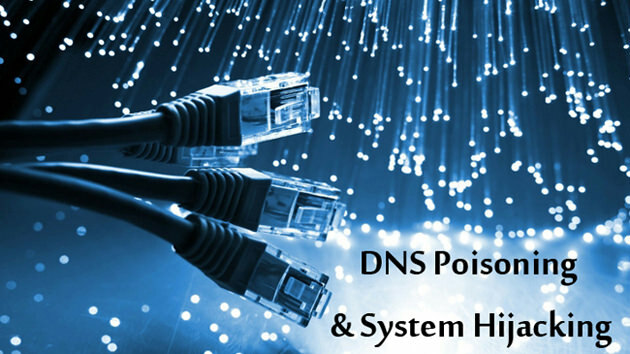 DNS Poisoning is also known as DNS MITM , is an advanced form of Man in the Middle Attack . In DNS Poisoning attack , when a client on the network tries to visit a website , we will redirect the traffic to our desired IP Address . This is done by ARP Cache Poisioning . This technique is sometimes reffered to DNS Spoofing also . Domain Name Servers (DNS) are responsible for maintaining a Directory of Domain names and Translate them to Internet Protocol (IP) Addresses . This is important because the Domain names are easy for the humans to remember but the computers / Servers only understand IP’s . A computer will access the website based on IP Addresses. How to DNS Poisoning Done ? In DNS Poisoning attack , When a client on the network says it wants to access www.example.com , we will redirect the traffic to our fake copy of the same website , but at a different IP address i.e. our Kali Linux Machine which is running a ARP Poisoning Server. For the DNS Poisoning to work we will need to route the packets of other computers through the Kali Linux machine . For this , run the following command on the Terminal . Now we prepare for configuring the machine for DNS Poisoning Attack . Use command ifconfig to find your machines IP . This is all an attacker needs to Sniff over your private traffic and do a DNS poisoning on your network and redirect the traffic from the legitimate website to the fake website . How to Prevent DNS Poisoning on your Network ? Secure the Internal Infrastructure as this attack is only possible from the inside of the network . Use Intrusion Detection Systems (IDS) as they are capable to detecting ARP Poisoning . Use of DNSSEC , which is a new alternative of DNS , as it uses digitally signed DNS records . What is Local File Inclusion – How Hackers do LFI ?